The health advantages of drinking green tea are well documented. Sunrider has used green tea in Calli® for 20 years. But, Calli® is much more than just green tea. The unique herbal extracts in Calli® assist in the body’s natural cleansing processes. All natural blend of exquisite tea leaves and extracts to assist the body’s elimination and cleansing processes. Low-calorie, fat-and cholesterol-free, with no added sugar. Each bag individually sealed to preserve freshness. Available in five formulations: Regular Calli, Mint Calli, Cinnamon Calli and Night Calli. CALLI Regular, Mint and Cinnamon contain a balanced combination of Camellia Leaf, Perilla Leaf, Mori Bark Extract, Alisma Root Extract, Impetrate Root, and other herbs as flavoring. CALLI NIGHT Contains a balanced combination of Passion Flower, Ho Shou Wu, Jujube Seed, Poria, Camellia Leaf, Sage Root, Rose Hips, Imperate Root and Winter Melon Seed, It’s a great way to promote smooth sleep at night. Steep one pouch of Calli Regular, Mint, Cinnamon or Night for approximately five to ten minutes in two to four cups of hot or cold water. Sweeten with you choice of natural sweeteners or drink as is. For optimum results, drink at least one quart of Calli per day. For Calli Night, steep one bag in one to four cups of hot water for approximately five to ten minutes. More information on Calli Herbal Teas. Sunrider – Real People-Real success! I was introduced to Sunrider in 2000. Linda Erb started drinking the Calli herbal tea and told me it gave her energy. That was the ticket for me. I was working as a registered nurse at the women’s prison in Hawaii. I was in my 60’s, exhausted, and drinking coffee for energy. I knew it wasn’t for wise. I lost weight, had energy, and began telling my Hawaiin friends and relatives about the great Sunrider foods and cosmetic products. My daughter, Kirsti, 27, has Down syndrome and she also drinks the Cali Herbal tea, Nuplus, VitaShake, Beauty Pearl, and loves the NuPuffs and the new oatmealraisin SunBars for snacks. She knows what is good for her and often reminds me, “Not too much ice cream, Mom”. She works out every day and is keeping her weight down. I don’t think we would be as healthy and fit had we never know about Sunrider. I will be 70 in a few days and I still work part time as a home health nurse. I drive around in a car with bold rainbow letters on it that says ” SUNRIDER NOURISH BALANCE CLEANSE” and I get regular contact from that. I’ also grateful for the new compensation plan. I’m less concerned about being a “saleswoman” knowing the products speak for themselves. I have consumed the products for years and have several customers, but now things are really booming with the new plan. Most people I know are making three to four times more then they were. Thank you Linda, Ceci, and all of my friends who persevered and remained faithful to me and my family in advocating good health in mind, soul, spirit, and body! And thank you for giving me the vision to have a thriving business of my own. I would much rather see people eat their way to health than watch people take drugs and their health decrease. How great to have such powerful, concentrated foods! thank you so much, Dr. Chen. G-d has truly gifted you to help mankind! 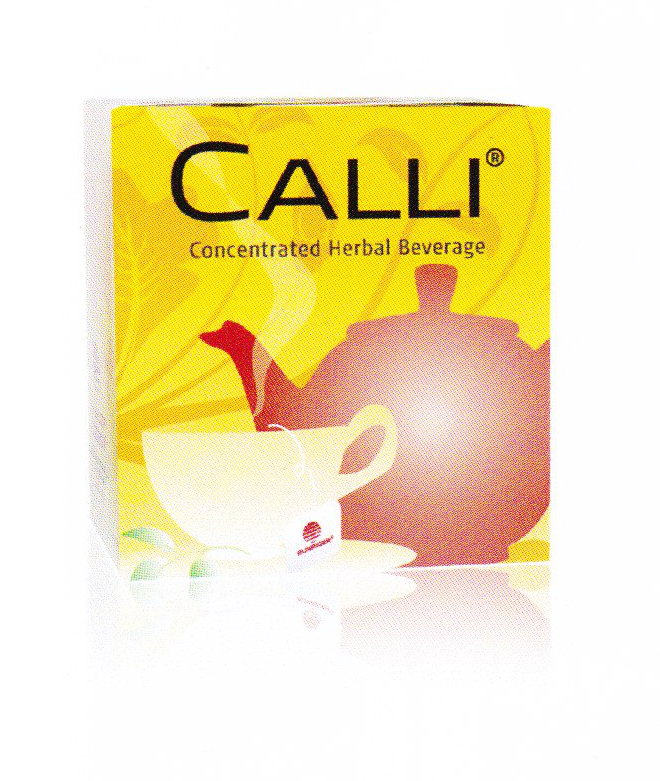 Be the first to review “Calli Herbal Tea” Click here to cancel reply.